"Thank you so much for the alterations on my daughters Ghost bridesmaids dresses, expertly finished and great speedy service has taken a lot of stress out of another to do on our list. Would highly recommend you to anyone looking to get their dresses altered thank you once again." I just wanted to tell you how pleased I am with my dress. It's more than I could ask for. Thanks for your care and amazing skills. "Thank you so much for the wonderful job you did on my wedding dress. I'm thrilled. Thanks so much for your help and advice, I won't hesitate to recommend your work. "Just a quick note to say thank you so much for doing such a wonderful job on my Ascot dress. I received lots of lovely comments and smiles on the day, and 2 people even asked me where they can buy the dress from and does it come in any other colours! I have had to disappoint them by stating that it is a one off, vintage piece. I felt like a princess and it fitted like a glove." "I just wanted to say a massive thank you for all of your work with my dress. It fitted amazingly and it was so comfortable to dance and move around in. Everyone commented on how beautiful the lace sleeves were too. Thanks again." 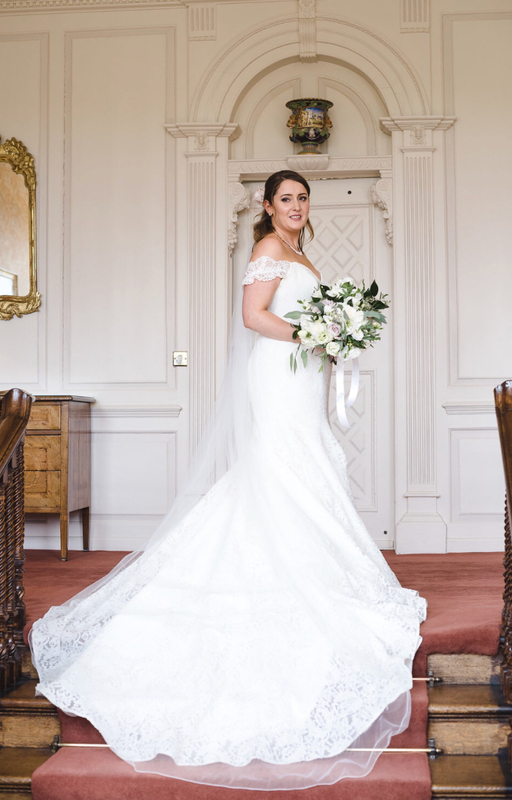 "I just wanted to say thank you so much for the alterations you made to my wedding dress; it fits perfectly and I'm so happy with it, I can't wait to wear it on my big day and I will definitely pass your details on if any of my friends need any alterations done. Many thanks again"
"Hi Tanya, Just wanted to say thank you for altering my wedding dress, it looked amazing, and the sleeves were a big hit! Thanks for helping me enjoy my big day! Kind regards." "Picked up my coat last night and must say amazing job on it and better than I thought. I will recommend you to anyone who needs work doing." "I just wanted to drop you an email to say a massive thank you to you and your staff for the amazing job that you did with my dress. It fit brilliantly on the day, and the belt and bolero looked amazing! I can't wait to get our pictures back. I'm so grateful that you were able to help me after the disaster of our initial seamstress!" "I just wanted to say a huge thank you for all that you did in preparing Siobhan's wedding dress & the bridesmaids outfits. It meant so much that you were there to share in it all. Thanks again."